In recent years, many companies have started to switch from physical computers to hosting their users in virtual environments. Whether you are hosting in the cloud or running virtual machines from your local servers, there are unique requirements when purchasing file conversion software for your virtual environment. PEERNET’s family of TIFF, PDF and other image conversion software have been traditionally sold at different license levels based on the number of users at your company that need access to the software. For companies looking to install and license the software on physical computers there are End User licenses, which will active a single computer, or an Unlimited End User license, which will activate an unlimited number of computers. For customers with hundreds of users, where licensing each individual computer would be tedious, PEERNET also offers a Pre-Authorized Open license model which allows for an unlimited number of licenses of the software to be installed at one company with no remote licensing required. Due to the pre-licensed nature of this software, it can also be distributed across your company in a software push, which is a common method of loading software in companies with hundreds of physical computers. Lastly, PEERNET also offers a specific license level designed for Terminal Server or Citrix Server environments as well as a Windows Service license for customers looking to use our file conversion software in a Windows Service, a scheduled task or any other automated process. But which license level is best for your virtual environment? Well, that depends on your answers to these 3 questions. Are you virtualizing your environment locally or in the cloud? Are you provisioning or cloning from a template or gold copy? Do you re-load from a fresh copy each day or do you have roaming profiles for your users? There are two different methods of hosting a virtualized environment. The virtualized environment can either be hosted locally or hosted in the cloud. Some examples of services that offer cloud hosting virtual environments include Amazon Web Services Cloud Hosting and Microsoft Azure Cloud Hosting. In both hosting environments, local or in the cloud, you have the ability to virtualize machines or desktops. Virtualizing machines refers to creating virtual server environments. This includes virtualizing Terminal Server or Citrix Server environments. Virtualizing desktops refers to creating a virtual Windows 10 environment, for example, for each of your employees. Services such as Zenware and VMware Horizon are commonly used to create these virtualized desktop environments. Regardless of how your company has chosen to implement a virtualized environment, you first need to determine your answers to the next two questions in order to determine the PEERNET license level that will best work in your environment. If you are hosting a virtualized environment, either locally or in the cloud, the TIFF converter license level you require is strongly dependent on whether or not you plan to clone your virtualized environment from a template. Cloning refers to when you have a base template for either a machine or desktop, sometimes referred to as the “gold copy”, and you copy that base template each time you need to create a new environment. You can run virtual machines or virtual desktops without undertaking cloning or provisioning. In this situation, you would be able to license the virtual machine or virtual desktop without issues, as though it was a physical environment, and therefore you can purchase the license level of the PEERNET document conversion software based on the number of users that require access to the software. If you are cloning desktops, you will require a Pre-Authorized Open license of your PEERNET file conversion software. This license level is required because in order to clone the user profile without running into barriers, you need a license level where no remote licensing is required. With the Pre-Authorized Open license level, the software comes pre-licensed. Therefore it can easily be installed on the base or gold copy and cloned out endlessly, without requiring the user to license the software using a serial number. If you are cloning Terminal Server or Citrix Server machines, you will require a “Pre-Authorized Terminal Server” license, which is a custom build of our traditional Terminal Server license level. By eliminated the remote licensing requirement of our classic Terminal Server license, companies cloning their terminal servers from a gold copy will not run into any barriers created by the licensing process. This allows companies to spin multiple virtual terminal servers up or down for load balancing as needed. Pricing for this license level is based on the number of terminal servers you require; please contact PEERNET for more information. If you are virtualizing desktops locally or in the cloud, it is important to consider whether you allow for roaming profiles or whether your user profiles re-load from a fresh copy each day. If there are roaming profiles for your users, meaning that some personal information is being stored on each user, it is possible to store a PEERNET license file. Therefore, you could choose to purchase the End User license or Unlimited End User license for a virtual desktop environment with roaming profiles. In this situation, the software would have to be installed and licensed using the serial number on each virtual desktop that requires a TIFF converter or PDF converter. The license information would be stored as part of the roaming profile, so that the next day, when the user logged into their account, it would still be running an activated copy of the file converter. If your virtual desktop environment is configured so that it re-loads the user profile from a fresh copy each day, the conversion software would become unlicensed each time it re-loaded. In this scenario, you would be better served by a Pre-Authorized Open license, thereby avoiding any licensing requirements all together. The best way to get started PEERNET’s file conversion software is by downloading our free 30-day trial. These are fully functional trials with a watermark added to all output files. As always, the PEERNET support team is more than happy to answer any of your questions and help you evaluate the trial. In 2012, PEERNET released Document Conversion Service, our answer to our customers’ needs for true unattended batch conversion software that runs as a full fledged Windows service. Document Conversion Service is a fully automated, high volume Windows product that provides 24×7 automated batch conversion complete with Watch Folder monitoring, command line tools, and a .NET library. Document Conversion Service is the perfect solution for those looking to convert a large existing collection of files, thousands of files daily, or need immediate conversion turnaround. Naturally, PEERNET is not the only company offering document conversion solutions in the market. The PEERNET team felt that it would be beneficial for our potential customers to compare our Document Conversion Service software to the three other most similar software solutions available today. Our primary takeaway from this comprehensive competitor comparison is that Document Conversion Service is a far more flexible tool. Our goal with this automated conversion software was to enhance your company’s existing workflow; meeting your file converting needs without disrupting your present systems. Document Conversion Service accomplishes this goal by offering a range of tools for integrating document conversion rather than limiting our customers to a single implementation method. PEERNET Document Conversion Service allows our customers to create and monitor as many input or drop folders as their workflow requires. For example, PEERNET customers can configure one watch folder to create black and white TIFF images for uploading into their archiving system and another watch folder to create colored PDF files to email to clients. In other situations, our customers have created one watch folder per department so that each department has their own input and output folder for ease of document management. Our goal with Document Conversion Service is to fulfill a need in your existing workflow. You will find other Watch Folder services on the market that only allow customers to monitor a single input folder. We find this approach to be limiting to the customer as monitoring a single Watch Folder means the customer can only create one output file type and can only carry out a single task with each software license. Document fidelity refers to the accuracy with which a file is converted; or in other words how well the conversion software is able to make the output file look identical to the input file. PEERNET prides itself in offering the highest quality document fidelity achievable and continuously works to enhance and improve our converters to add additional conversion options and document repair features. Document Conversion Service includes options to control the conversion of files with headers, odd paper size, and unique layouts features. For PDF files, auto-repair features have been included to try and correct files that would otherwise fail to convert. As we sell our software globally, Document Conversion Service is also highly adept at supporting files with foreign language characters. Lastly, you’ll find the Document Conversion Service has enhanced support for converting image files, such as supporting transparent PNGs, unlike the batch conversion services of our competition. A critical point to recognize when comparing Document Conversion Service to other automated batch conversion software on the market is that Document Conversion Service is more than just a Watch Folder service. Document Conversion Service comes bundled with three integration tools: (1) Watch Folder monitoring, (2) command line tools, and (3) a .NET library. The Watch Folder Service is our most commonly used tool. It allows our customers to drop Word documents, Excel spreadsheets, PDF files, AutoCAD drawings, etc. into a designated input folder to be automatically converted and the resultant converted file to be picked up from a designated output folder. Using command line tools our customers can call automated batch file conversion from scheduled tasks, batch files, their own code, or any program that can call an external program in order to add document conversion to your workflow. For example, using the command line tools in a Windows Scheduled Task, customers can schedule conversion tasks for a particular time of day or at a particular interval. The PEERNET.ConvertUtility .NET Library allows customers to add an automated document converter into their own C# or VB.NET programs, easily adding the ability to convert documents of different formats into TIFF or PDF files as part of their existing application. Looking to our competitors, there are companies that sell only Watch Folder services and others that sell only .NET Library and Java tool kits, but PEERNET’s Document Conversion Service is the only file conversion software solution that comes complete with a variety of implementation tools. This selection of tools allows you, the customer, to choose the integration method, or combination of methods that will work best for you. We often encounter customers that wish to integrate document conversion into their workflow in several places. For example, we have customers that use the Document Conversion Service .NET Library in their in-house application that they run as part of an archiving workflow, while also using our Watch Folder Service as part of their day-to-day workflow, for immediate file conversion needs. The Watch Folder service tool that comes with PEERNET’s Document Conversion Service includes the able to cluster servers thereby scaling up your document conversion performance while maintaining failover support. Clustering refers to configuring a group of computers to work in tandem, doing the same task on a shared set of data. In terms of Document Conversion Service, this means that you can configure several servers, each with a license of Document Conversion Service, to monitor the same group of input folders, and work on converting the same group of files. This allows customers to scale up their file conversion performance in a safe and controlled environment. Clustering is not a common feature available with other competing Watch Folder service software. If you are in the market for an unattended batch conversion service you will notice that the software is typically sold at different license levels. In the case of Document Conversion Service, we sell four license levels which each convert a different number of documents concurrently. It might seem logical that if you need to convert a large volume of files or complete your conversion tasks in a shorter period, you would purchase a higher license level. In reality, the best way to scale up your performance is to create a cluster of servers each running lower license levels, working on the same group of files. This is because: (1) running a high license level requires a very powerful computer which, if pushed to its maximum, actually slows down the file processing, and (2) a cluster of servers gives you a backup should one server crash unexpectedly or you need to take a server down for maintenance. We highly recommend clustering for customers with a large volume of files as it balances the load across multiple computers to provide better overall performance, is less CPU intensive, and additionally provides failover support. Document Conversion Service boasts a list of 29 supported input file types as compared to the 15, 25, and 20 supported respectively by our closest competitors. As detailed in the table below, PEERNET’s Document Conversion Service supports a larger range of input file types for all three integration methods: Watch Folder service, command line tools, and .NET library. Document Conversion Service is able to fit seamlessly into your workflow by offering a wide range of input file types and offering flexibility in how you choose to integrate document conversion, unlike our competitors that limit customers in terms of implementation method and file type. A core value at PEERNET is providing our customers with comprehensive and reliable support. You can rely on our support team to touch base with you on any issues you might encounter as soon as possible during regular business hours. If you ever need any help with the functionality of our software, our staff is always just a phone call or email away. For those who are new to Document Conversion Service, we provide a fully functional 30 day trial which you can request through our website. We also offer full support during the evaluation period and can schedule web meetings to assist you in configuring the trial for your needs so you can fully test the power of Document Conversion Service. For those that prefer to try the software for themselves first, we offer tutorial videos to assist you with the initial installation and configuration of the software. In particular, our Document Conversion Service Getting Started Series will walk you through the basics of installing, configuring and running the conversion software. Clients have told us in the past that it was our Getting Started Series that made them choose Document Conversion Service over our competitors’ solutions. We also have a thorough library of more specific tutorial videos from how to watch multiple input folders, how to setup clustering, to how to troubleshoot with the logging console and many more. We also support our customers with detailed documentation. For customers new to the software we offer a Quick Start Guide and White Paper for Document Conversion Service. There is also a comprehensive Document Conversion Service User Guide, Command Line Tools Reference, and PEERNET.Convert Utility Programmer’s Reference to guide customers through the various integration methods. All of these reference materials are always available to our customers directly on our website. The best way to get started with Document Conversion Service is by downloading our free 30-day trial. This is a fully functional trial of DCS Level I with a watermark added to all output files. As always, the PEERNET support team is more than happy to answer any of your questions and help you evaluate the trial. Using the PEERNET online store, our customers are able to purchase all of our software directly online. 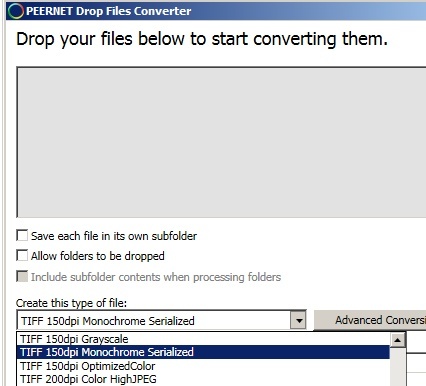 Whether you are looking for a desktop pdf to tiff converter like our TIFF Image Printer or an unattended batch converter like our Document Conversion Service, all PEERNET software, when purchased via credit card or PayPal, through the PEERNET online store will be immediately delivered via email and to your PEERNET online account. The PEERNET accounting department also supports customers who prefer to purchase via purchase order, wire transfer or check. If you ever require a formal quote for our software, do not hesitate to contact our team at peernet@peernet.com. Did you know that PEERNET also works closely with major software resellers to sell our file conversion software? 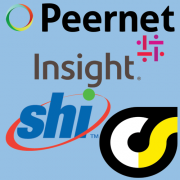 PEERNET regularly works with software reseller companies including: SHI, Insight, Component Source, Comparex, Softchoice, and SoftwareONE. Recently, PEERNET has been named among the Top 100 Bestselling Publishers by Component Source again for 2019. If you are looking for a reseller in your country, please visit the PEERNET Distributors and Resellers webpage. What are the benefits of purchasing PEERNET document conversion software through a reseller? 1) Resellers can sell to you in your currency and handle any tax obligations. The PEERNET website lists all prices in USD. While we do offer a currency converter which allows customers to see an estimate of the cost in their currency, we ultimately transact in USD. If you would prefer to make the purchase directly in your currency, going through a reseller is a great opinion. In addition, the reseller can handle any tax obligations your country imposes on your behalf, making the purchasing process much easier on your organization. 2) Resellers with whom you have an existing relationship might be able to offer you discounted pricing. Many large organizations often have a reseller with whom they have an existing relationship and through whom they make all software purchases for their organization. These types of relationships are advantageous to the customer as they only need to purchase from one company in order to meet all of their software needs. In addition, developing a relationship with a reseller can assist your organization in managing your annual renewal fees as the reseller will aid in tracking software renewal dates. If you have an existing relationship with a reseller, purchasing PEERNET tiff conversion software through them can also result in a discounted price, depending on the total volume of your purchases via that reseller. 3) Resellers in your country can provide you software pricing and details in your own language. PEERNET does business in English so if you would prefer to investigate your software options and receive pricing in another language, a smart option would be to purchase through a reseller. PEERNET is happy to work with you, via the reseller, if you need assistance determining which of our conversion software would best meet your needs or if you are still testing the software. After the right software for you has been identified, the reseller will be able to provide pricing and purchasing information in your preferred language. If you are interested in purchase through a reseller, please have them contact peernet@peernet.com for pricing and we’d be happy to work with them. In addition, if you are a reseller interested in working with PEERNET, please do not hesitate to contact our team for more information. As part of the release of DCS 3.0.017, PEERNET Document Conversion Service users now have access to three new utilities all designed to make the management and maintenance of their DCS settings more streamlined. This utility is primary used in conjunction with the updating/upgrading process. The install for DCS version 3.0.017 and higher will now automatically prompt to create and then restore from a saved backup zip file so that your previous settings can be restored easily. If you are currently running a version of DCS earlier than 3.0.017, please contact support and our team can provide you with a link to the DCS Backup and Restore utility. Run this utility prior to upgrading to DCS 3.0.017 to save your settings before re-installing or upgrading to DCS 3.0.017 on a new machine. The DCS Backup and Restore utility will backup, and then restore, your DCS configuration file, Watch Folder Service configuration file and your Conversion Profiles. During the backup process, you can select which files to backup based on which settings files you have customized. During the restore process, the utility will merge your saved settings files, identify any errors and allow you to edit the final merged version of the file before overwriting the new settings file. The benefit of this merge process is that you will be able to maintain all of your custom DCS settings while also gaining access to any of the new features released with the updated/upgraded version. This utility is useful for DCS users who are familiar with saving their DCS settings files using the manual method (used prior to the release of the DCS Backup and Restore utility). In the past, DCS users would have to save their DCS configuration file, Watch Folder Service configuration file and Conversion Profiles individually so that they could subsequently be used to overwrite the default settings files following an update/upgrade. The Configuration Merge utility will allow you to merge your previously saved DCS configuration file, Watch Folder Service configuration file and/or Conversion Profiles with the respective file from the updated/upgraded version of DCS. The benefit to merging the files, as opposed to simply overwriting the files, is that you will be able to maintain all of your custom DCS settings while also gaining access to any of the new features released with the updated/upgraded version. Going forward, the install for DCS 3.0.017 and higher will prompt you to backup your settings and then restore your settings using the DCS Backup and Restore utility. 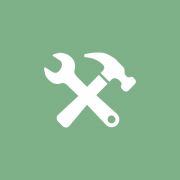 If you have used the DCS Backup and Restore utility included as part of the upgrade/update process, you will not need to manually merge your configuration files and conversion profiles. This utility facilitates more simplified editing of your DCS configuration file, Watch Folder configuration file and/or Conversion Profiles. 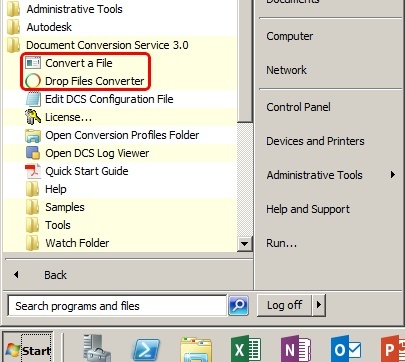 Starting in DCS 3.0.017, when you open the start menu, go to Document Conversion Service, and select either: (1) Edit DCS Configuration File, (2) Configure Watch Folder Settings, or (3) Edit Conversion Profiles, the respective file will launch in the DCS Editor. The DCS Editor is color coded for easy editing, and includes collapsible sections to make the file more manageable when scrolling. The editor also includes action buttons at the top of the window to make it easier to save the file, search the file, and copy and paste within the file. When you highlight text, you can use the editing buttons to either cut, copy or paste the text. The Find and Replace button allows users to search the file for a specific term or replace all instance of a term. Furthermore, the DCS Editor is able to check the settings file for syntax errors which could potentially inhibit conversion. Syntax errors refer to incorrectly formatted settings lines. For example, if you were to exclude a necessary quotation mark, include an extra back slash, or delete a name attribute, the DCS Editor would notify you of the presence of an error and its location. You can check your file for errors by selecting the Validate button from the top of the window. The DCS Editor will also validate the file syntax when you save the file. Lastly, the DCS Editor allows you to easily move between DSC setting files by selecting the Open button from the top of the window. The side panel will allow you to switch between editing the DCS configuration file, the Watch Folder configuration file, and any Conversion Profile. Be sure to save any changes you’ve made to the previous file before moving to another file. What is PEERNET.ConvertUtility .NET Library? Document Conversion Service includes the PEERNET.ConvertUtility .NET Library, which allows you to easily add document conversion to your own C# and VB.NET programs. If you are a solution provider, working with .NET, who needs to integration the ability to convert documents of different formats into TIFF or PDF file into your application, Document Conversion Service and the includes PEERNET.ConvertUtility .NET Library is the solution you need. CombineFiles – Converts and combines (appends) a list of files from various locations. The files are combined in the order in which they are given. The conversion settings can create either a single output file, or a serialized sequence of single page output files. Code samples and additional information on how to work with the PEERNET.ConvertUtility .NET Library can be found in the PEERNET.ConvertUtility – Programmer’s Reference. Why use PEERNET.ConvertUtility .NET Library? Document Conversion Service and the included PEERNET.ConvertUtility deliver a stress-tested solution that can add automated file conversion into your own applications with just a few lines of code; saving the time and personnel that it would take to write your own automated file conversion code. Using PEERNET.ConvertUtility .NET library you can add silent, headless conversion of various document types, such as Office documents, including Word, Excel, PowerPoint, etc., PDF file, HTML files, and various image formats, to TIFF images, PDF files or JPEG images directly into your own custom code. PEERNET offers three methods by which to integrate file conversion into the workflow of your organization: (1) Watch Folder Service, (2) Command Line Tools, or (3) .NET Library. PEERNET.ConvertUtility uses a collection of settings to determine the type of output file to create. These settings are saved in a profile file, what we call a Conversion Profile. Included with the installation of Document Conversion Service are 64 pre-configured Conversion Profiles. The Conversion Profiles Folders can be accessed by selecting Start – Document Conversion Service – “Open Conversion Profile Folder”. If none of these pre-configured Conversion Profiles meets your needs, you can create a new Conversion Profile by copying a similar profile and pasting it into the same folder. Then you can rename this Conversion Profile and change the settings to meet your needs. A Conversion Profile is made up of a collection of name value pairs used to describe the type of output file being created. There is a large collection of settings available for controlling the output file type including how the files are converted, e-discovery options to manipulate documents, etc. See our video below on creating and editing Conversion Profiles to get you started. You can also find more information on available conversion settings in the Document Conversion Service User Guide. If you require any assistance editing a Conversion Profile, do not hesitate to contact the PEERNET support team. What are the Command Line Tools? Included with the installation of Document Conversion Service are several command line utilities for converting files and folders, which we refer to as our “Command Line Tools”. The Command Line Tools can be called from scheduled tasks, batch files or any program that can call an external program in order to add document conversion to your workflow. Document Conversion Service comes with a number of different convert utilities, which can be used to run document conversion from the command line, depending on your conversion needs. They are described in detail in the Command Lines Tools Reference Guide. Why use Command Line Tools? Using Command Line Tools and a scheduled batch file, you can instruct Document Conversion Service to convert files when it works best for your work flow. Some organizations may prefer to have the conversion service only work overnight, converting all new Word documents, Excel spreadsheets, PDF files, AutoCAD drawings, etc. created by your staff during the day for archiving purposes. Alternatively, there may be a specific file (or folder of files) that is updated daily, therefore you may configure Document Conversion Service to convert that specific file at the same time each day so the most recent version can be made available to your staff or uploaded to your website each day. These are just two examples of how Command Line Tools can integrate document conversion into the workflow of your organization. PEERNET offers three methods by which to integrate Document Conversion Service into the workflow of your organization: (1) Watch Folder Service, (2) Command Line Tools, or (3) .NET Library. Command Lines Tools use a profile file, what we call a Conversion Profile, to instruct Document Conversion Service on which settings to use for the output file. Included with the installation of Document Conversion Service are 64 pre-configured Conversion Profiles. What is the Watch Folder Service? Document Conversion Service comes bundled with a ready to use drop folder service called Watch Folder Service. Watch Folder Service will monitor specified “input” folders for new files to pick up, convert and then return to the specified “output” folders. Why use Watch Folder Service? 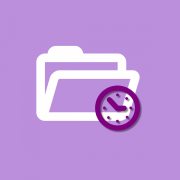 Watch Folder Service allows your staff to drop Word documents, Excel spreadsheets, PDF files, AutoCAD drawings, etc. into the designated input folder to be automatically converted and dropping in the designated output folder. Users can also drop a folder of files. Watch Folder Service is able to retain the original folder structure and re-create these sub-folders in the output folder. The simple to use configuration file comes with 7 pre-configured Watch Folder sections to create TIFF, Faxable TIFF, Vector PDF, Raster PDF, JPEG as well as sections that demonstrate clustering and large volume conversion. The Watch Folder Configuration file can be accessed by selecting Start – Document Conversion Service – “Configure Watch Folder Setting”. You can then edit the configuration file in Notepad. You can enable or disable any of the previously mentioned default Watch Folder sections by setting the Enabled line as true or false. If one of the default Watch Folder sections matches or is similar to the settings you require, you can edit it directly. For example, if you want to create 300dpi colored TIFF Image use the default Watch Folder section “Convert ToTIFF” and just customize the location of the InputFolder and OutputFolder to match your workflow. You can create a new Watch Folder section by copying a similar section and pasting it below the default Watch Folder sections. Then you can rename this Watch Folder section and change the settings to meet your needs. These settings allow you to customize which hot folders Watch Folder Service will monitor and what file type will be created after converison. The Folder Options include the folder structure settings and file pick up options. The most important settings in this group are designating the watched folders: the InputFolder location and the OutputFolder location. Additional options include dated sub folders in the FailedFolder and the CompletedFolder, maintaining sub folder structure during conversion, and filter settings to only convert specified file types. The Output File Options control the type of file that will be created. You can specify the image resolution, the file type (TIFF, PDF, JPEG or other image format), whether to create color, grayscale or black and white files, and many other settings. These settings allow you to extract and convert any files attached to email message files in addition to the original .MSG file. These settings allow you to configure Watch Folder Service to handle the conversion of a large volume of documents by setting up clustering. Clustering is a method of directing multiple computers running Document Conversion Service to a shared location to convert files. The group of computers together will work to convert the large volume of files. Clustering allows for faster conversion, load balancing and failover protection. These settings allow you to run commands after each successful conversion and each failed conversion. For instance, you could configure the Watch Folder section to run a command that uploads all successfully converted files to an archiving system (a success command), and also sends you an email containing the name of the file for any files that fail to convert (a failed command). 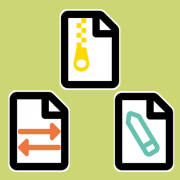 You can find more information on working with Watch Folder Service in the Document Conversion Service User Guide. On August 21, 2018, several Ghostscript security vulnerabilities with were found by a Google Project Zero security researcher. These vulnerabilities could allow a remote, unauthenticated attacker to execute arbitrary commands if a specially crafted PDF or PS (Postscript) file is processed. Many of our Document Conversion Service clients use GhostScript to convert PDF documents. In light of this vulnerability, we wanted to address this issue as it relates to Document Conversion Service, and explain how our clients can protect themselves. With the release of Ghostscript 9.24 on September 3, 2018, Artifex Software has stated that all found issues have been resolved. We have completed our integration testing of this version with Document Conversion Service and recommend installing GhostScript 9.24 or later as soon as possible. Note: Before updating GhostScript, or uninstalling the older versions, we recommend stopping your Document Conversion Service if it is running. Make the necessary changes and then restart and test that your conversion service is running as expected. How Can I Tell if I am Using GhostScript? By default the DCS configuration uses Adobe Reader for PDF conversion. In most cases, the DCS configuration will have been modified to disable PDF conversion using Adobe Reader; this causes DCS to use GhostScript to convert PDF files. If you are running DCS 3.0.014 or later, and have not modified the DCS configuration file to use a particular Ghostscript version, DCS will automatically detect and use the most recent Ghostscript version. How Do I Set the Ghostscript Version? If you have any further questions or concerns about GhostScript, please do not hesitate to contact our support team. When faced with the task of automating your document to TIFF conversion, it can be hard to know where to start. The tools you will end up using will depend on where you need document conversion to fit into your workflow and the type of documents you need to convert. 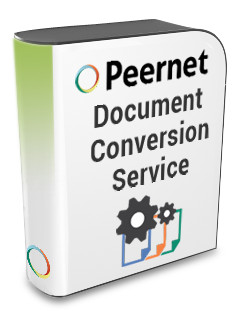 PEERNET offers a range of document conversion products in order to best meet the conversion needs of our clients. It is common for our clients to be first introduced to PEERNET document conversion software with our TIFF Image Printer End User. For those looking for simple desktop conversion at the user-level to handle day-to-day conversion tasks, TIFF Image Printer End User is an ideal solution. TIFF Image Printer End User can convert any document to a TIFF image that can be opened & printed. This is great for companies that use web applications or proprietary software, but still require TIFF conversion. We recommend this solution for companies that need a user-initiated, hands-on approach to document conversion, and have a lower volume of conversion. For higher volumes of document conversion and/or a hands-off, automated approach, we see our clients creating their own custom code to integrate TIFF conversion into their workflow. For this level of silent, non-interactive automation, the TIFF Image Printer Windows Service license level is required. 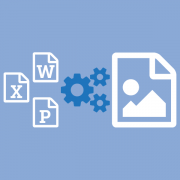 This license level allows the TIFF Image Printer to be used for both interactive (desktop) and non-interactive (Windows service and scheduled tasks) sessions. Monitoring specific folders for files to convert, often at specific time intervals. While it is certainly possible to write your own code in order to integrate our TIFF Image Printer into your workflow as desired, often our clients do not have the time or desire to dedicate personnel to what is often a time-consuming and tedious project. That’s where our Document Conversion Service comes in! We’ve done all the automation work for you, and have created a stress-tested software that can accomplish any of the examples listed above with just some simple configuration or a few lines of code. Document Conversion Service is an enterprise-level, scalable and fully automated batch conversion software that converts PDF to TIFF, PDF to JPEG, Word to TIFF, Word to JPEG, Excel to TIFF, Excel to JPEG, etc. DCS is highly customizable allowing for seamless workflow integration by means of its many included tools, such as a folder monitoring service with post-processing capability, command line tools for batch and scheduled processes and a .NET library for more in-depth code integration. In our experience, 90% of the reason our clients choose Document Conversion Service is for the complete automation it offers. Document Conversion Service does all the heavy lifting of managing the third-party applications used to convert the documents, as well as opening, printing and closing files to convert to TIFF. Any message boxes, security and update prompts and other issues that are common roadblocks to automation have already been handled for you. Document Conversion Service is a true Windows® service and runs headless in its own environment. It will not interfere with any of the third-party applications running on the desktop. Document Conversion Service can be seamlessly integrated into your workflow in several ways, from complete .NET code integration to using simple command line tools. It does not take more than one or two lines of code to direct Document Conversion Service to convert specific files, folders or file lists. As mentioned earlier, it is possible to write your own code to make TIFF Image Printer Windows Service monitor specific folders for files to convert at specific time intervals, but in doing so, you would also have to write code for opening, printing and closing each file. You would also have to handle the many pitfalls of dealing with message boxes, security and licensing prompts, controlling the default printer, and many other issues Document Conversion Service handles for you. Our Watch (Drop) Folder Service comes included with the purchase of Document Conversion Service. Simply tell the service which folders to watch, how you would like files converted, where to save the output file, and you’re good to go. Eliminate the stress, worry and expense of writing, and then maintaining, your own code to make TIFF Image Printer work in your service environment. We guarantee that Documents Conversion Service has been rigorously stress-tested and is ready for production level operation immediately following purchase. We have many clients, including banks, hospitals, insurance companies and law firms, that use Documents Conversion Service for purposes critical to the regular operation of their businesses, and they have found DCS to be a reliable and robust software. We take on the responsibility of testing and updating Document Conversion Service as 3rd party software and operating systems undergo changes in order to avoid any disruption in client’s services. In addition, our support team is always available to help with configuration support and troubleshooting should you need it. Whether you are using the Office automation or the TIFF Image Printer COM automation library, or both, it takes care and attention to detail to program against them correctly, and efficiently. Common mistakes such as not error-trapping correctly or not freeing COM objects when required can cause your conversion process to hang indefinitely, or cause rogue processes to accumulate in your running processes table, taking up valuable system resources. Choosing Document Conversion Service eliminates these worries with its robust handling of third-party automation, freeing your developers up for other tasks. 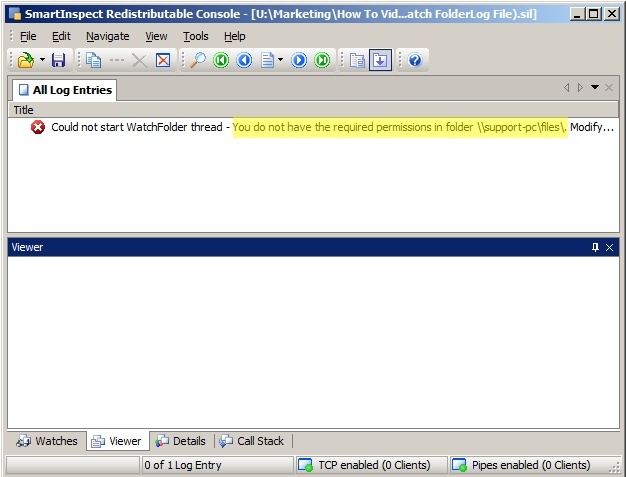 Stopping the Watch Folder Service to add, edit or remove a watch folder definition can cause a disruption in your conversion process when you have a significant number of watch folder sections declared. Rather than having to stop all conversion processes on the server, you can clone the Watch Folder service to create multiple services and split your watch folder sections between the different services. This allows you to make changes as needed without having to stop all of the conversion processes at once. Copy the folder “C:\Program Files\PEERNET Document Conversion Service 3.0\Tools\Watch Folder Service” and rename to “C:\Program Files\PEERNET Document Conversion Service 3.0\Tools\Watch Folder Service##“, replacing the ## with a number or letter. Edit the PNDocConvWatchFolderService.exe.config file at C:\Program Files\PEERNET Document Conversion Service 3.0\Tools\Watch Folder Service##\ to ensure it is using folder paths that are unique from the folders in the original Watch Folder Service configuration file. Open the Services Panel and update the Log On As Account for the new service. Right click the DCS – Open Watch Folder Log Viewer menu shortcut and click Open folder location to open the folder where the short cut is stored. Make a copy of the shortcut and rename it. Repeat steps 1-6 for each additional Watch Folder Service you want to create. The logging console included with Document Conversion Service is a useful tool to verify service start-up as well as identifying common conversion errors and issues. 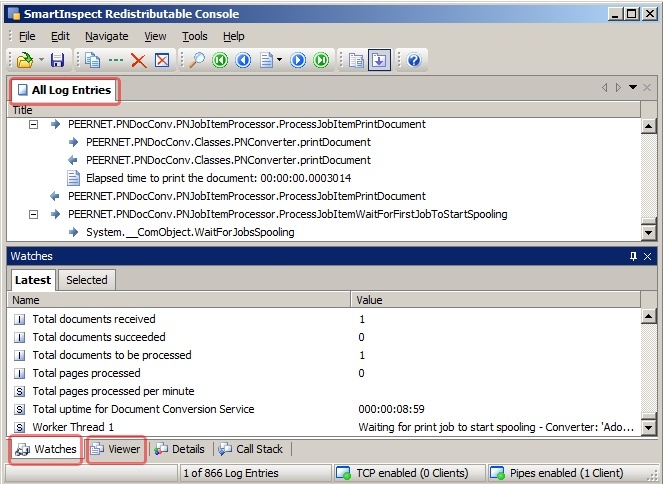 Learn how to open the logging console, filter the console’s view to pinpoint information and how to troubleshoot common errors in both Document Conversion Service and Watch Folder Service. 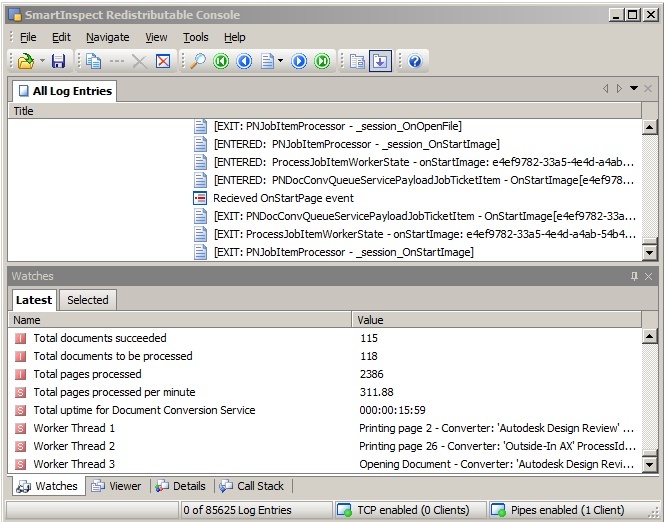 The All Log Entries window displays the individual logging entries as the service is running and processing files. Watches tab displays the current state of the Worker Threads, information on documents processed through DCS and information on the each converter that is running. Viewer tab displays any attached data to the currently selected log entry in the All Log Entries window. When you open the Logging Console, you will see live logging information being added to the screen as files are converted. In addition to live logging, DCS also keeps a history of the conversions by saving the information to log files on disk. The default settings will save up to 10 files with a maximum size of 250MB, with the oldest file replaced when the maximum file size is reached on the current file. You can change these settings by opening C:\Program Files\PEERNET Document Conversion Service 3.0\Core\silogconfig.txt and changing the value for maxparts and maxsize. NOTE: you will need to stop and start DCS if you modify the silogconfig file. 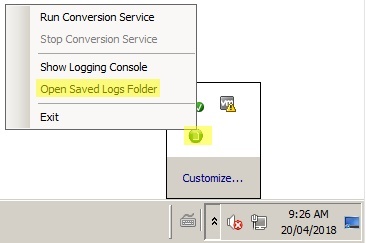 You can access the saved log files by going to the PEERNET tray icon, right-click and select Open Saved Logs Folder. Then you can double click any of the files listed in the folder to view them in the logging console. NOTE: This only hides the entries in the console, the information is still being recorded. If files are not being converted, a common reason is that the required 3rd party application is not installed or could not be initialized through DCS. 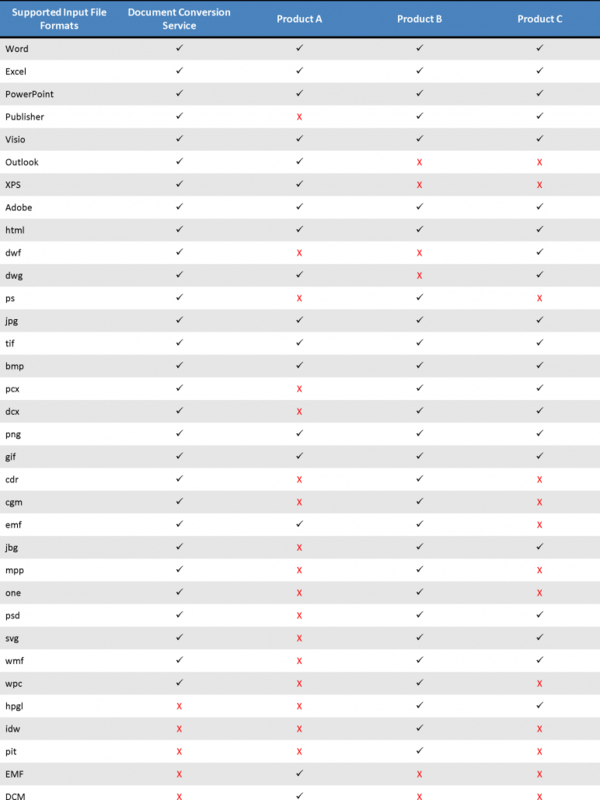 The Supported Conversions tab on the DCS web page has a table of the needed 3rd party applications and what file formats they convert. To resolve this, stop DCS, install Office and then restart DCS. You can then open Logging Console again to verify that DCS initialized conversion for all Office applications successfully. The same type of error will occur if Adobe Reader, or any other 3rd party application is not installed. If it is a PDF file that is failing to convert, there can be a number of reasons for the PDF file to fail. 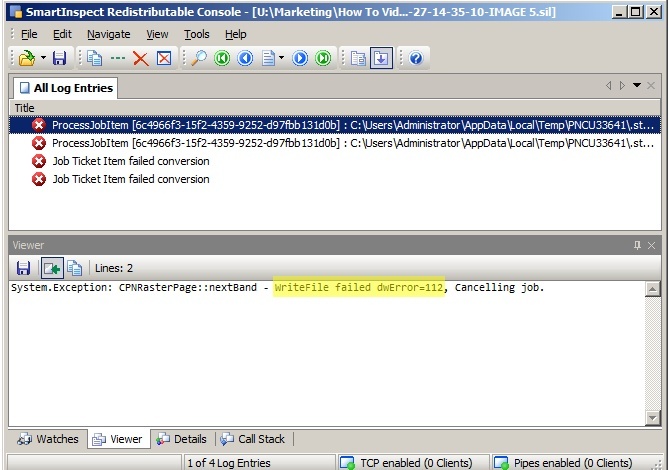 Here are a few examples that are easy to diagnose in the Log file. If DCS uses Ghostscript 7.07 instead of Adobe Reader to handle PDF files because Adobe Reader is not installed on the computer, you will see this error in the Log file : Ghostscript 7.07 : Unrecoverable error. Ghostscript 7.07 is the last version that can be distributed for free, but it is very old and cannot handle the newer PDF file formats. To resolve this install Adobe Reader or update to a newer version of Ghostscript. After installing Adobe Reader or the newer version of Ghostscript, you need to stop and restart DCS for the new application to be started. Another common error with PDF documents occurs when the file is password protected. This causes the error shown below. If your server is low in hard drive space, then you will see Error 112 in the log file which indicates that there was not enough space on the disk to save the new file. The Watch Folder Service also supports live logging as well as its own set of saved log files. To open Watch Folder Service Logging Console, Start – Document Conversion Service 3.0 – Open Watch Folder Log Viewer. 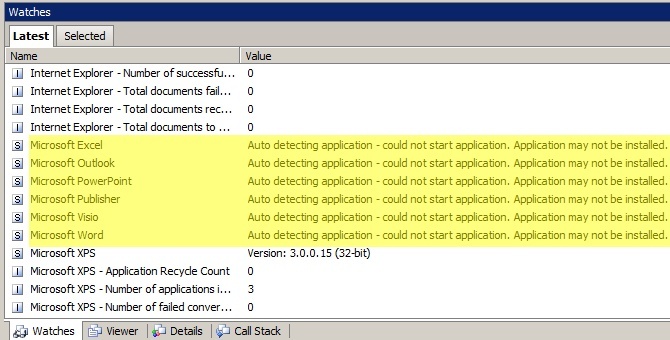 A common error with Watch Folder service is to see permissions issues accessing the folders being watched or where the output files are being created. In this case you would see the message “you do not have the required permissions for folder” in the All Log Entries window. 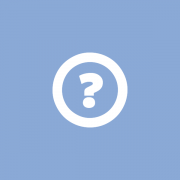 This error means that the account Watch Folder runs under does not have the correct permissions to access the folder and commonly occurs when using network folders. Change Watch Folder to use a network account that can access the folder or fix the current account to be able to access that location. See our Change the Logon Account video for more details on how to change the logon account for the Watch Folder Service. The logging console can help to initially troubleshoot conversion errors before contacting PEERNET Support, but as always our support team is always happy to help. If you are still having issues, please do not hesitate to contact Support. To use the Command Line Tools and the .NET Libraries, you need to reference a conversion profile. Each profile file is a collection of settings describing the type of file to create and includes settings like resolution, creating color, greyscale or black and white, creating multi-page or serialized files and many other options. You can find more information on the settings available to use in a profile file in the User Guide under Conversion Settings. DCS comes with 64 pre-configured profiles that can be found by clicking Start – Document Conversion Service 3.0 – Open Conversion Profiles Folder. You can either use one of the pre-configured profiles if it creates the file you want or make a copy of a profile that is closest to your needs and modify it. Make a copy of the TIFF 200dpi Monochrome Serialized profile. Rename the copy file to TIFF 150dpi Monochrome Serialized. Open the TIFF 150dpi Monochrome Serialized profile. We need to change the Resolution setting from 200 to 150. You can now test your new profile using either the Convert a File app or the Drop Files Converter app that comes with DCS to verify that the profile will create the file you want. Simply open the app, select the conversion profile TIFF 150dpi Monochrome Serialized, and choose the save location the output files. Then drag & drop files to be converted. Once you have confirmed the conversion is creating the output file you want, then you can integrate your new conversion profile into your automated workflow using our command line tools or .NET library utility. 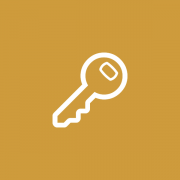 If you need the Watch Folder Service to access shared or network folders, then you need to change the Watch Folder LogOn credentials to use a network account or other account that has access to these shared or network folders. Scroll down to PEERNET Watch Folder Service and double click it. Enter domain\account and the password that can access the shared/network folders. Scroll down to the Watch Folder section you are working with. Enter the URL path to the Input folder you are wanting to monitor. We recommend leaving the Staging and Working folders on the local drive. Enter the paths for Failed, Completed and Output. If you are looking to convert PDF, TIFF, JPEG & other image formats in an automated process, PEERNET’s Document Conversion Service is the perfect business solution for your document conversion needs. The software offers flexible and consistent results, scalability, and highly customizable powerful document conversion. It can be configured for continuous conversions from one folder to another folder (pickup folders, hot folders, watch folders). Alternatively you can integrate it into your workflow more closely either using a command line tool or callable API. Owing to an increased usage of local archive systems and cloud storage solutions many companies are converting thousands, or even tens of thousands, of email messages, documents and other files each day. To convert this amount of files, a document conversion solution that is highly available and allows for continuous uptime is required. DCS supports high volume document conversion with clustering and failover. Take control of your conversion service by customizing the efficiency of conversion to meet the specific needs of your organization. DCS allows you to adjust the configuration of both DCS and the Watch Folder. Customizing the Watch Folders to align with your CPU/cores availability ensures the conversion service is kept busy and running at capacity, producing a more efficient conversion rate. For companies looking for an archiving or e-discovery solution, look for a file conversion software with the ability to extract and convert any supported file attachments in an Outlook Message (*.msg) file, as well as the email message itself. Automated conversion of all Outlook files allows for efficient review of email correspondences. DCS’s Watch Folder Service will convert outlook messages and their attachments. Improve the efficiency of your document conversion process by running post-process commands for each file that is converted. These commands can be batch files or other executables. This is ideal for organizations looking to integrate drop folder conversion into their workflow. Easily upload the file to a web server or send an email; the possibilities are endless. DCS offers completely customizable post conversion processing with our Watch Folder Service. Document Conversion Service is a Windows® software product that runs in the background as a Windows® service and is able to batch convert on a 24/7 basis in a fully automated fashion a multitude of document formats. Play this video to see an overview of Document Conversion Service. Packing for a vacation can be surprisingly challenging. Between accommodating all the possible weather conditions and addressing all the various activities you have planned, plus meeting the weight restrictions, it’s easy to get overwhelmed. One thing we all know that we need to take with us on a vacation is our travel documentation. But depending on the length of your vacation, printing off all your travel documents can mean lugging around quite a large and heavy stack of paper. Have you ever considered “carrying” all your travel documents digitally on your phone, tablet or laptop? Next time you travel, give PEENET’s PDF Creator Plus a try! PDF Creator Plus allows you to merge documents into one file, delete unnecessary pages, move pages to make your itinerary, and add annotations like packing notes, phone numbers or directions. When you are done editing your documents in PDF Creator Plus, you can save the project for editing at a later time, and you can convert the file to PDF, TIFF or JPEG. Combine files to a single PDF file for an ideal solution for storing your travel documents on your various devices during your trip. Upload the PDF to your Google Drive or Dropbox so that you can access them all from your phone, tablet and laptop. Also – be sure to share your travel documents with your friends and family staying at home so that they know where you’ll be and how to reach you. Having all your travel documents in a single PDF file makes sharing them quick and easy. If ever have any questions or need assistance, you can always contact us for some advice and guidance. Go paperless. 5 Ways to Declutter using pdf or tiff: Save digital documents. The best way to de-clutter is to keep the clutter out of your home, and off your desk, to begin with. Start with getting into the habit of sorting your mail at your recycling bin. This way the unnecessary paper doesn’t even make through the front door, or into a dreaded “I’ll sort it later” pile on your desk. Take paperless a step further by unsubscribing from paper mailing lists or making the switch to electronic bills and bank statements. If you’ve already paid the bill, reviewed the credit card statement or addressed a letter do you need to store the paper copy forever? Pay the bill, scan it and shred the hardcopy. This will keep you from filling up filing cabinets with paper. But what do you do with all the paper in your already full filing cabinet? Review all the paper you have stored in there and decide which hardcopies you need to keep and identify what can be stored digitally instead. Now is also a good time to throw out any old statements and receipts that you have accumulated. A good rule of thumb for personal statements is to keep the past year of records. Before you start scanning, decide how you want to store your new digital documents. Scanning and storing all those individual hardcopies can actually produce a surprising amount of digital clutter on your computer when you store each statement separately. 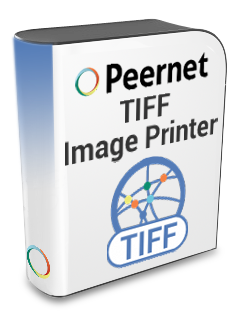 Try using one of PEERNET’s virtual printers to merge related documents into a single TIFF file. For example, why not save all of last year’s credit card statements as a single TIFF file using TIFF Image Printer. For the flexibility to produce PDF, TIFF or JPEG file formats, try our Raster Image Printer instead. Blogs, Facebook, YouTube, Pinterest, Instagram, Snapchat, Tumblr – all invaluable sources of cooking advice and recipes, but unfortunately this means that our favourite recipes are no longer stored in an accessible cookbook, but are instead spread across various websites. 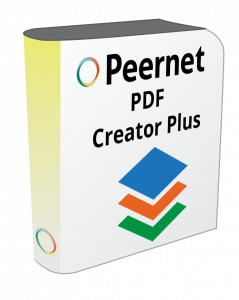 Ensure that you don’t lose your favourite recipes amongst the clutter of all the recipes you are constantly printing off with plans to try, by “printing” these online recipes to PEERNET’s PDF Creator Plus. With this software you can edit the document before conversion. Add notes like “Family loved this one!” or “Too spicy – less jalapeños next time”, then save the document securely to your computer as a PDF, TIFF or JPEG file. You can even take it a step further and use a PEERNET image printers or PDF Creator Plus instead of an actual printer when you first find the recipe, and cook from your tablet – paperless! Online research – don’t print it off! No matter your reason for researching – school work, home improvements plans, real estate options – replace your dependence on an actual printer with PEERNET’s PDF Creator Plus. You can “print” all your findings to a single PDF Creator Plus project, appending each document after the previous as you go along. Then you can go back and delete unnecessary information, move pages around, or add annotations like notes or hyperlinks. You can save this PDF Creator Plus project for editing at a later time, keeping all the information easily accessible at your fingertips without taking up space on your desk. Convert to PDF or convert to TIFF for easy sharing with a friend, spouse, classmate, real estate agent, contractor, etc. Just like you take your e-book reader on vacation with you instead of a stack of books, trade in your extraneous paperwork for the digital alternative. “Print” all your email correspondences and booking confirmations (hotel, day trips, flights, etc.) to PEERNET’s PDF Creator Plus. With this software you can delete unnecessary pages (ie. that final blank pages when you print emails or webpages), re-order pages to match your itinerary, or even go as far as to write the corresponding date and trip day number on each confirmation. Now if you print this document you’ll have significantly reduced your page count, plus the pages are already organized. Alternatively, you can merge pdf files to a single PDF file for safe keeping on your laptop or phone. Still Not Sure? Please take a couple of minutes to watch the brief video below, which runs through all PEERNET product offerings and should help you determine which product might be right for your enterprise file conversion needs. And if you still need help with choosing software for your organization, whether you work in a large institution or a small business, you can always contact us for some advice and guidance. https://www.peernet.com/wp-content/uploads/reduce-paper-thought.jpg 1000 1000 Robert Massart https://www.peernet.com/wp-content/uploads/peernet-logo.png Robert Massart2018-02-06 13:00:532019-03-22 14:18:03Go paperless. 5 Ways to Declutter using pdf or tiff: Save digital documents. You can easily combine multiple files into a single PDF file with PDF Creator Plus. 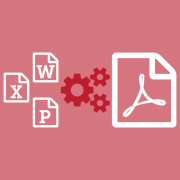 For this example, we are going to print a Word document, a JPEG image and a Excel spreadsheet to PDF Creator Plus to combine into a single PDF file. Choose PDF Creator Plus 7.0 from the list of printers and then click the Print button. PDF Creator Plus will display the pages from the Word document. Do not close the PDF Creator Plus application and open the JPEG image and click File->Print from the application menu. This will insert the JPEG image after the Word document pages. Once again do not close the PDF Creator Plus application and now open the Excel spreadsheet and click File->Print from the application menu. Choose PDF Creator Plus 7.0 from the list of printers then click the Print button or the OK button. This will insert the Excel spreadsheet pages after the JPEG image. Once you have all the pages printed to PDF Creator Plus, click the Create PDF button. Click the Save button to convert the pages to a single PDF file. You can easily remove unwanted pages from the page list before creating your PDF file, like a blank page that may have been part of the pages printed to PDF Creator Plus. When deleting pages from the PDF Creator Plus screen, you can either delete the currently selected page (Page->Delete->Page) or delete a range of pages (Page->Delete->Range). Then select the page range to move and select the position to move them to in the project. Document Conversion Company: Celebrating 20 years of business! PEERNET Inc, a document conversion solutions company, was founded on June 9th, 1997. As it seems is the case with any good start up story, Peernet came from humble beginnings – working out of a basement. We quickly outgrew that space and moved beyond, but we look back fondly on those early years of innovation and exploration. The aim of Peernet was simple: produce high-quality, highly configurable, multi-purpose graphic and imaging software for the Microsoft Windows market. Our CEO & Founder, Robert Massart, often points out that he put his vision for Peernet right into our company’s name. The name Peernet was chosen to represent the collaborative nature of our company. According to Rob, “It was always [his] intention to make a company that values networking peer-to-peer among customers and employees, and evolves as a product of these interactions.” To this day, most innovation in our products can be attributed to the suggestions and requests of our clients. When our company began document conversion and digital imaging was in its infancy. We’ve grown with the industry, while at the same time innovated to grow the industry ourselves. It’s been an honour to contribute to the paperless office transition with our virtual image printers & conversion software. The very first product we developed was printer software for ID Card printers (PVC printers and thermal printers). Our focus quickly extended beyond software for physical printers to software for virtual printer drivers. At this point I could say “and the rest is history”, because at its core every product we have developed and sold these past 20 years is built upon this concept of virtual printer drivers. Virtual printer drivers convert any printable document to an image. Or in other words this type of software allows the user to create an image from any document they could also print. At the time, our software was most commonly being used as a solution for creating faxable TIFF images and archive-ready TIFF images. The need to convert documents to TIFF was, and still is today, an essential aspect of doing business for bank, insurance, legal and medical companies. Originally released in 1999 under the PEERNET.DRV product brand name and later renamed, the TIFF Image Printer became our flagship – and most popular – product. Other variations of virtual printers to create PDF files and other raster image files were soon added. These products filled the growing need for customizable desktop solutions that would work within a company’s current business practices (also referred to as workflow integration). It creates one of the widest selections of different formats of TIFF images, including CCITT faxable TIFF and other fax formats used by fax software and other hardware. Custom behavior could be added to the driver to automate handling of the created file; for example it could be automatically opened, faxed, or passed to an archive system. Driver settings could be locked down to ensure the correct file was always created, helping to reduce user error in data entry. The driver settings could be controlled from other programs. Over the years, the PDF document format gained popularity in the business world. With the increased need to create PDF files by home users and small businesses, we saw an opportunity to create an affordable, easy-to-use solution for PDF creation. We also wanted to provide home users an easy way to print documents from multiple sources and create a single PDF file. Many of our clients were using our PDF Image Printer solution but also wanted the ability to combine multiple documents together into a single file – PDF Creator Plus fulfilled that need. Originally released in 2004 under the name PEERNET ePublisherPlus and later renamed to PDF Creator Plus in 2006, PDF Creator Plus creates vector PDF using our proprietary graphics optimizer that converts Microsoft graphics into high quality PDF documents. This results in smaller file sizes than the raster PDF produced by PDF Image Printer, making it ideal for the home user or small business owner. As time went on, we began to recognize a desire from our clients to automate the conversion and storage of documents. This need for automation was largely driven by the transition to paperless offices which was occurring at the time. The paperless office created an increase in the number of documents that needed to be converted on a daily basis. Where they used to control the driver when printing from custom programs or at a user level, our clients began to incorporate our printer driver software into their own batch conversion programs. Automation would free up their employees for other tasks. As more and more of our clients began to create their own batch conversion utilities in-house using our printer drivers, we acknowledged this need in our client base and created the first of our batch conversion solutions, File Conversion Center, and released it in 2002. This software served many clients well for many years. As primarily a desktop solution, it bridged the gap between user-based batch conversion and fully automated conversion. As time went on, and the volume of electronic documents needing to be converted daily still continued to grow, we realized that FCC, and our printer drivers had to grow as well. This led to our enterprise-level, scalable and fully automated Document Conversion Service solution, now one of our most popular products. Released in 2012, Document Conversion Service was a game changer for file conversion and management. It allowed for batch conversion of PDF to TIFF, PDF to JPEG, Word to TIFF, Word to JPEG, Excel to TIFF and Excel to JPEG to name a few. It allowed this conversion to automatically occur continuous in the background, 24/7. Arguable the most revolutionary aspect of DCS is the sheer amount of available customization and workflow integration tools, making it easy to adapt DCS to meet the conversion needs of any business. The included folder monitoring service providing easy setup for automatic conversion and providing specific post-processing tasks that can be customized for such tasks as uploading directly to a server or an archiving system. Command line tools and a programming API complete the toolset to give our customers the freedom they need to create the solutions they want. Twenty years later Peernet continues our tradition of innovation and collaboration. The past two decades of business have shown us that there is always a need for high-quality, comprehensive business solutions. We take pride in the reputation for professional and reliable customer support that we have developed. We continue to work with our clients, bringing them new file conversion solutions to match the current technological landscape. Document Conversion Service, for example, is regularly updated with new features including: clustering, load balancing and fail over protection; vector (searchable) Adobe PDF; and conversion of Outlook Email Messages and their attachments. While the future of Peernet remains to be seen, it is a guarantee that we’ll still be relying upon inventive thinking, peer-to-peer collaboration and friendly, reliable customer support. We look forward to continuing to innovate and produce solutions that meet the needs of our customers worldwide! https://www.peernet.com/wp-content/uploads/pnlogo.jpg 6667 6667 Robert Massart https://www.peernet.com/wp-content/uploads/peernet-logo.png Robert Massart2017-06-09 08:50:352019-01-28 15:00:47Document Conversion Company: Celebrating 20 years of business! Few industries rely more heavily on document conversion tools and digital documentation than the insurance field. Insurance companies around the world have a need to securely store vast amounts of insurers’ documentation, claims, records of correspondence, etc. While digital documentation has its obvious benefits, it also creates challenges, including the demand caused by a high volume of daily conversions and difficulties integrating with proprietary software. PEERNET offers both a desktop and automated batch conversion solution that will seamlessly integrate file conversion into your organization’s operations, so that you can meet your insurance document conversion needs with the right document conversion tool for you. 1. Problem: Proprietary software which lacks the ability to convert to TIFF. Details: It is common for insurance companies to use proprietary software with which insurance agents process claims and access insurers’ information. Owing to the age of the software used as well as changes in available technology and data storage techniques, it often lacks TIFF conversion. When upgrading proprietary software is not an option due to cost or a reliance on legacy programs that cannot be changed, many insurance companies will instead opt to use a product such as PEERNET’s TIFF Image Printer or Document Conversion Service. These programs serve as the bridge between their proprietary software and the specific TIFF file format required by their chosen electronic document filing system. Possible solutions: TIFF Image Printer is a desktop solution that insurance agents, for example, would engage with directly. In this case, a user would “print” directly from their proprietary software to create the required TIFF page. The same step of printing directly to the TIFF Image Printer allows creation of TIFF images from other file types they work with everyday, such as PDF, JPEG, Word, Excel files and more. Customize the printer settings to save the images in a specific location without prompting, set up a naming convention for the created files, and implement a post-conversion action such as previewing the created image or automatically adding it to an archive system. This is an ideal solution for companies looking to streamline the creation of TIFF images directly from their proprietary software and other applications. A less hands-on approach, Document Conversion Service also bridges the need for TIFF creation between proprietary software and electronic document filing systems by means of its included Watch Folder service. With this approach, the insurance agents would save all files they need converted to a specific, monitored location for automatic conversion. Like the TIFF Image Printer, the same customization options of file naming conventions and post-conversion processing can be set. Document Conversion Service, and its Watch Folder service, checks any number of watched folders at designated intervals and batch converts all documents it finds in parallel, making it ideal for companies needing high volume conversion. Most commonly an insurance agency would adopt this solution if their proprietary software was only able to produce PDF files and they wanted them all converted to TIFF without the direct engagement of staff. 2. Problem: Your company has a high volume of insurers’ documentation and claim paperwork to convert daily. Details: An insurance company, depending on the size, can easily have upwards of thousands of files daily that require conversion to a file format, such as TIFF image, that is suitable for archiving purposes. These files can come from a variety of sources and include both documentation uploaded by insurers and internal claim documents created by insurance agents. Processing these documents and making them accessible on the company’s website within a reasonable amount of time requires a document conversion tool that can scale between the demands for conversion and the company resources available to perform the conversions. 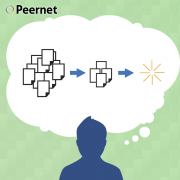 Possible solutions: PEERNET’s Document Conversion Service offers high-throughput with true parallel conversion and the ability to scale up based on conversion demands. The conversion service runs 24/7 without input from a user. A recent addition to Document Conversion Service and its included Watch Folder service is clustering and failover support, which allows multiple servers to work in tandem on a shared collection of files while providing load balancing and failover support. This approach is ideal for large volume batch conversions and clients requiring 100% conversion stability, such as an insurance company. 3. Problem: Electronic filing systems require specific TIFF file formats for archiving purposes. Details: The nature of the insurance industry with its myriad of client applications, claims, policies, endorsements and other documents creates a need to store vast amounts of documents in an easily accessible format. In the last decade, technical improvements have made it possible for all that paperwork to be stored in electronic filing or archiving systems that provide insurance agents and adjustors with real-time access to client documentation. Most commonly, these types of systems require input data to be in a specific TIFF file format. Possible solutions: PEERNET conversion software, including TIFF Image Printer and Document Conversion Service, specializes in high-quality TIFF conversion, guaranteeing the fidelity of your converted documents. Our products have the added benefit of being able to produce the exact TIFF file format your organization requires for your chosen electronic filing systems. While some might consider TIFF to be a singular file format, there are in fact many variations. PEERNET has accounted for the fact that electronic filing or archiving systems are very particular about the TIFF file format used for the input data. 4. Problem: Conversion of the vast amounts of uploaded insurers’ information to an insurance company’s website in an accessible format to provide real-time access for agents. Details: In recent years many insurance companies have moved towards online submission of insurers’ documentation when they make a claim, rather than having to mail a paper copy. This can result in the upload of prescription, dental and health receipts in many different formats such as JPEG, PNG or PDF. This gives rise to the need to convert these uploaded files before saving them in a document retrieval system for easy access by insurance agent for review as well as for long-term storage of the files. Possible solutions: Document Conversion Service is the ideal tool to handle this type of problem. A 24/7 automatic batch converter, Document Conversion Service is able to continuously convert uploaded files of a variety of formats to TIFF in the background as part of your organization’s website. As a full-fledged Windows® service, the conversion process runs without the need for an active signed-in user. Clustered conversion and conversion process monitoring methods ensure minimal downtime. Adaptable, files created by Document Conversion Service can incorporate existing naming sequences and file structures for seamless integration into new and legacy document retrieval systems. 5. Problem: Email claim submission requiring significant staff engagement in order to convert and save the insurers’ documentation appropriately. Details: Some insurance agencies utilize an email system for submission of insurers’ documentation for claim processing. This can lead to significant loss of valuable time as staff then need to open every submission, convert to TIFF and save to a specific location. In addition, email correspondences with insurers often include information relevant to a claim and therefore needs to be saved in the insurers file. Possible solutions: Document Conversion Service has the ability to extract and convert any documents attached to Outlook Message Archives (*.msg) as well as the email itself. Therefore, staff would no longer need to engage with the conversion or saving procedure of email attachments, thereby freeing up their valuable time for other tasks. Instead, staff could simply save all relevant Outlook emails to a folder monitored by the Watch Folder service. Document Conversion Service would then pick up these *.msg files, and batch convert the messages and attachments, saving the resultant files to a designated location. This Watch Folder feature includes the ability to focus on or exclude specific file formats as well. Learn more about PEERNET Products that are ideal for the Insurance Industry. TIFF Image Printer: Helps your company start converting documents to TIFF as quickly and easily as possible. This tool allows TIFF to show up as an option on the standard Windows print menu. For organizations that want to make the transition to paperless as painless as possible, this is a great option. Document Conversion Service: The solution you need to automate your file conversion process, saving your organization incredible amounts of time and resources. The industry-leading automated, batch file conversion solution. Capable of converting documents in the background, 24/7. Used by trusted institutions and organizations around the world for their file conversion needs. We’re always happy to lend a helping land. 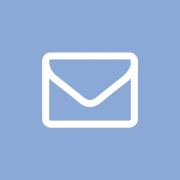 Just get in touch with us to let us know what problems your organization is having trouble with, and we’ll get back to you to let you know how our document conversion tools can help solve your needs. 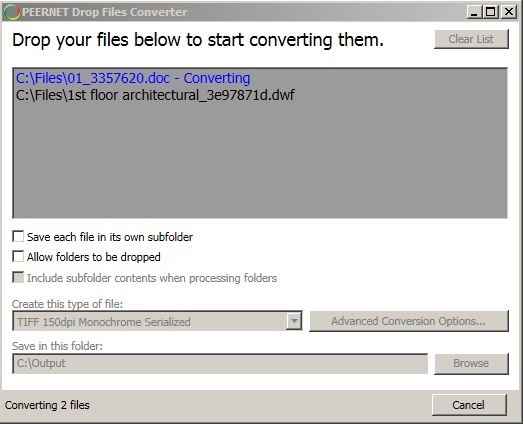 With the release of Document Conversion Service 3.0.009, the Watch Folder Service now includes the ability to extract and convert any supported file attachments in an Outlook Message (*.msg) file, as well as the email message itself. The original email and all attached files and embedded images in the email and any signature are processed. If any of the attached files are Outlook Message files, they too are recursively processed and any attachments extracted and converted as well. All of the converted message contents are stored in a folder of the same name as the original Outlook MSG file with an auto-numbered naming sequence in place to handle any file name collisions for embedded images and the attached files. The sample message below, Test Email With Attachments.msg, contains a single attached PDF file, lorem.pdf, as well as 5 small images from the signature. 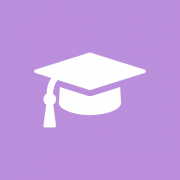 When the MSG is processed, the original message file and all attachments are processed and placed into a folder named Test Email With Attachments.msg. The attached PDF file will retain its name, and the inline images that are part of the signature named image001 through to image005. Open the Watch Folder Service configuration file in Notepad by going to Start – All Programs – PEERNET Document Conversion Service 3.0 – Watch Folder – Configure Watch Folder Settings. Watch Folder Service includes several sample watch folder configurations to get you started. You can modify any of them to suit your needs, or copy and paste a section to create a new one, or use an existing one you have already created. You can enable or disable message extraction in each watched folder individually in the Watch Folder Service. The PreprocessArchiveFormatsFilter setting in each folder will enable or disable message extraction for that folder. This setting determines which archive formats will have additional processing applied by listing them by file extension. Currently only the ‘*.msg’ extension is accepted. Set this as an empty string or comment out the line to disable processing. NOTE: By default, this line is commented out. To enable it, you need to uncomment the line. A collection of settings is available to manage the email contents you want extracted. Message attachments can be inline (pasted in the message body) or attached as separate files. Images in signatures are often inline attachments. You can disable the processing of inline attachments with the setting PreprocessArchive.MSG.IncludeInlineAttachments. We recommend leaving this set to true as inline attachments can also be documents and are not always embedded images. This setting is applied to the list of attachments before the include and exclude filters below. You can filter, based on file extension, which attachments to process and which to skip. To filter for specific file types, enter in the extensions for each type separated by the pipe (|) character. The include filter will be applied first, and then the exclude filter. Most often only one of the include filter, PreprocessArchive.MSG.AttachmentsIncludeFilter , or the exclude filter, PreprocessArchive.MSG.AttachmentsExcludeFilter, will need to be set at any one time. This will depend on how you need to filter. It is easier to say exclude only “.jpg” attachments, or include only “.pdf” attachments than to write long, specific lists of all of the file types. To include all attachments and exclude none, set both settings to an empty string. As an example of filtering, if you only want any attached Word and PDF documents, and the original email message, you can set the include filter to “.doc|.docx|*.pdf” and leave the exclude filter as an empty string. Outlook messages often have signatures in them, and those signatures often have images such as company logos or social icons. These images are often quite small in size on disk originally but can explode in size when processed to the output type and resolution you have set for the watched folder. If you are including the images in your message processing, the following settings can help you keep the file size of the processed images to a minimum. The first setting, ConverterPlugIn.PNImageConverter.KeepSourceImageResolution, will force any images to maintain their original resolution when converted to the new format. This means that if the Watch Folder is set to create 300 dpi TIFF images and one if the email images is a 96dpi JPEG image, the resulting TIFF image will also be 96dpi, and not 300dpi. This results in a much smaller image. The compression settings used for the output file format you are creating also affect the output file’s final size. In this example, we are creating TIFF images and using the highest JPEG compression to get a lower file size. Keep in mind that this compression will apply to all files created, and will work better on highly colored images. JPEG compression on a text-based document such as the email message itself can cause slight blurring of text. There is no one size fits all setting that works for all document types; you may have to change the compression settings to work with your style of documents.